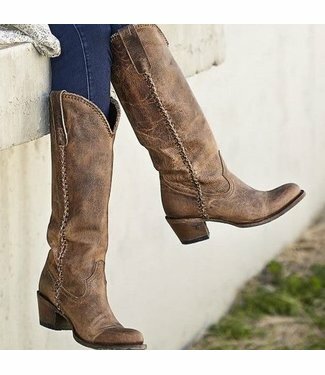 Women's western boot in brown leather with a nice round toe ..
Western boot in two layers bone leather. The upper layer is .. 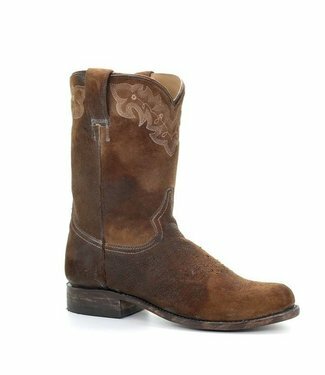 Cowboy boot for men made of caiman leather. 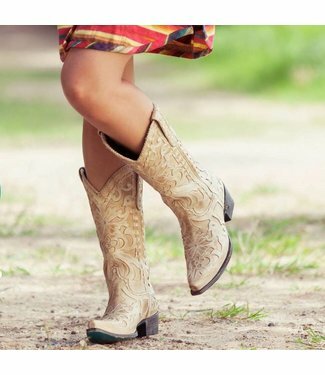 This classic cow..
A very special boot with a lot handmade details by Corral Bo.. Medium hight men's boot made of sanded lamb leather from the..
A real feminine pink boot with embroidery and studs by Corra..